Our next magazine will be out in early September. To tide you over until it is posted, here is a piece by Danny Friar about the upcoming anniversary of the Beatles Anthology. 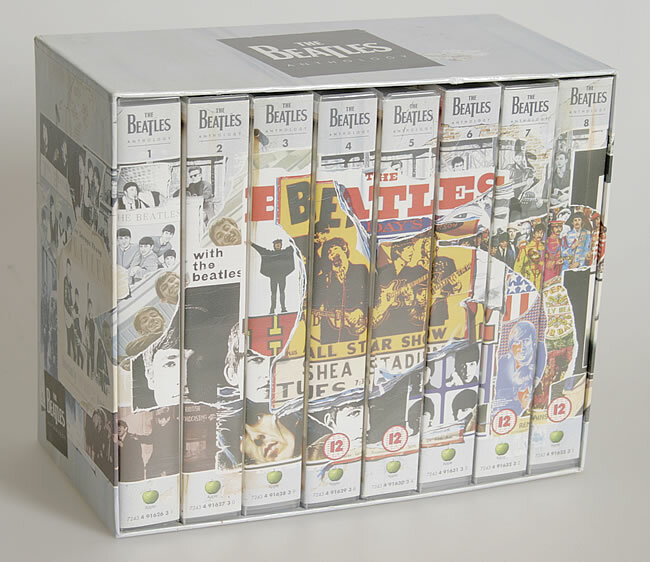 This November marks the 20th anniversary of the Beatles Anthology TV series and the release of the Beatles' Anthology 1 compilation album. The singles Free As A Bird and Real Love followed in December 1995 and March 1996 respectively. 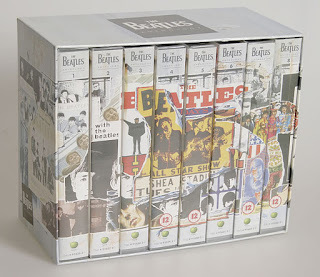 With the release of two more Anthology albums in 1996 and the Beatles Anthology book in 2000 it was an exciting time for fans. Twenty years on the fans look back on all things Anthology. Sara Schmidt was the first person in her town to buy the Anthology 1 CD. She now runs a blog on the Beatles. Tom Demi is a musician and songwriter and was the first person in his town to buy the Anthology 2 CD. 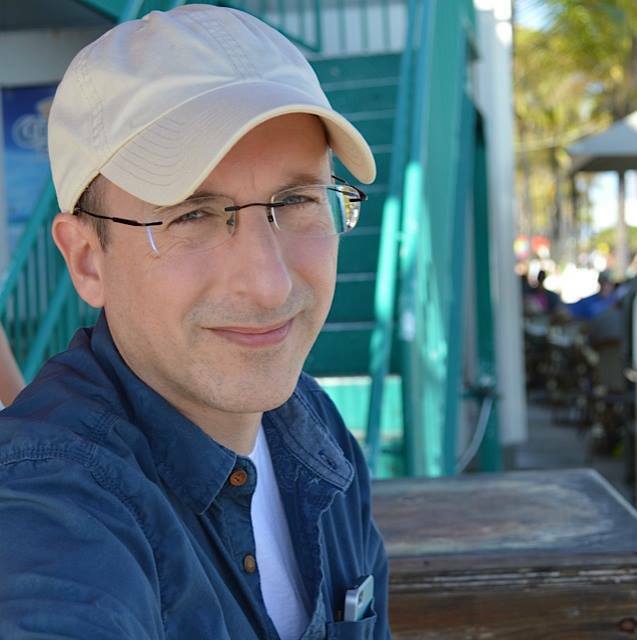 Allan Kozinn is a music journalist and author of two books on the Beatles. 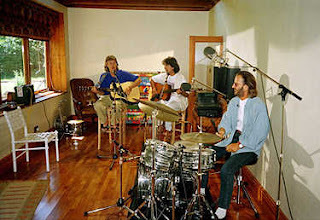 He interviewed Paul and Ringo about the Anthology project for The New York Times. Allan: I remember going to see the Concert for Bangla Desh and hoping there's be a reunion there. The cause seemed right. It was George's project, Ringo was known to be involved, and they were in New York where John lived -- the only question was Paul. Tom: I remember the stories of the concert promoter Sid Bernstein offering them millions of dollars, and I remember Lorne Michaels on Saturday Night Live half-jokingly offering them a much smaller sum (with less for Ringo, if they wanted). Sara: I recall in the late 1980s a rumor that the Beatles were going to reunite with Julian Lennon singing John’s parts, although that was just a strange rumor and it didn’t go anywhere. Tom: After John died and Julian started making records, people kept suggesting that he take John’s place, which was absurd. On the day of Live Aid, rumors were rampant that George and Ringo were going to come out with Paul onstage (I was on my way to work, listening on the car radio; it was agonizing), but of course that didn’t happen. Allan: Whenever there were rumors of Beatles reunions, everyone I knew also took them with a grain of salt. Tom: A couple of years later there was Paul’s offhand comment that he might want to write with George one day, but George quickly squashed that possibility. 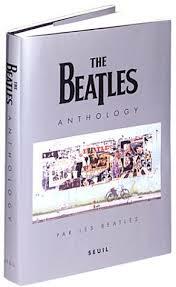 Then, eventually, the real recording sessions for the Anthology were reported, which was finally something concrete. Allan: I remember hearing John Lennon mention that the project that became the Anthology was in the works, probably in one of his 1980 interviews. I remember him saying, "It will be called 'The Long and Winding Road,' no doubt," and that, of course, was the working title. 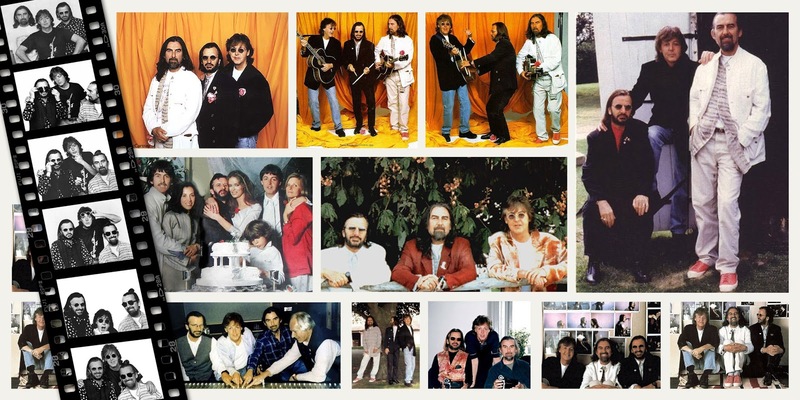 Sara: I remember this being mentioned by Paul McCartney in an press conference during his 1989 tour that there was going to be a big documentary called “The Long and Winding Road” and that it had been in the works for many, many years. Allan: They asked me for copies of everything I had on file, both in print and on audio and video, in terms of Lennon interviews, and I happily sent it all along. Sara: I listened to the Beatles every day before the Anthology. Tom: I’d been a huge fan since I was 11, when I started getting singles and listening with my friends and so on. It was my 12th birthday, in 1976, when I got my first Beatles album (the Blue album), and it just ballooned from there. By early 1977, I was buying the solo material too, with whatever allowance money I had. By the end of 1979, I had most of the Beatles and solo catalogues on LP, and I kept up with it avidly and listened a lot. Sara: I waited outside at a midnight sale to buy Live at the BBC in the United States in December of 1994. It was freezing rain outside and everyone else in that line was there to buy the new Pearl Jam CD. I was so excited. It really felt like something big was about to happen in the world of the Beatles. For me, it was my very first experience hearing “new” Beatles music. And to know that there was more on the way was something that I couldn’t help but get overly excited about. Allan: When I reviewed the set in The New York Times, I compared it negatively to the Great Dane bootleg set. Allan: As a journalist, I'm not an average fan: I didn't experience the buildup in quite the same way, because I was watching it being unrolled from backstage, so to speak. I had been to ABC-TV, which broadcast it (in America), and had done some interviews, so I had a VHS tape of all the TV promo spots directly from them, plus their press kits, and I knew how they promoting it. So it wasn't as if anything came as a surprise. 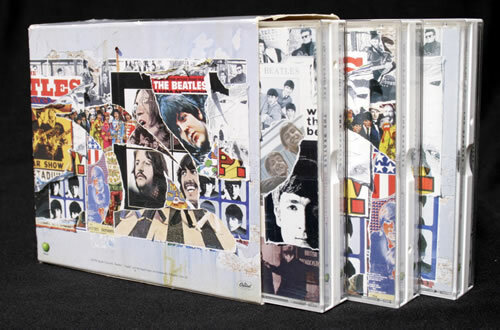 Sara: I was a involved in a Beatles chat room on the internet relay chat called #beatles during the time and it was all anyone was talking about 6 months before the Anthology was released. 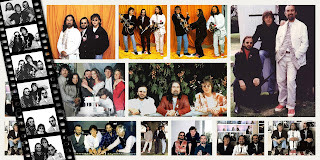 I recall in August of 1995, I went to the Beatlefest convention in Chicago and there was a session there with someone who had inside information about the Anthology. We all sat there with our pen and paper out taking notes and we were all shocked when he said that All You Need Is Love was going to be colorized! 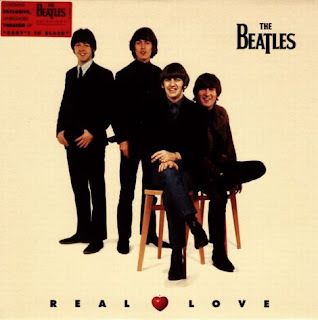 Tom: The promotion focused on the Beatles’ history and the TV special and the new songs and lots of talk about all their hits, and I think they downplayed the fact that the Anthology CDs were going to be all alternate versions, not the versions everyone knew. When ordinary people were interviewed, they talked about passing the legacy on to younger generations, not the thrill of hearing alternate versions of everything. It was huge, though; you couldn’t escape it. Sara: I bought every single (magazine) and I still have them in my collection. I collect Beatles magazines, so November-December 1995 was an amazing time for me. Tom: First the stories of the recording sessions, then the announcement of the song Free As A Bird and the release dates. Sara: I remember that Newsweek was the first magazine with them on the cover and then there were all sorts of cheaply made ones and a really nice one from Life magazine. Allan: I was writing a piece about the (TV) series for the New York Times, so I called their (Paul and Ringo) people and arranged to do the interviews. I believe they were both done in New York. I then went to London to interview Neil Aspinall, Derek Taylor, George Martin, Geoff Emerick, all the guys in the video production team (Bob Smeaton, Geoff Wonfor - I'm sure there were others but it was a long time ago at this point!) and Mark Lewisohn. George had taken the position that Paul and Ringo would do the press interviews about the show. I don't know why, but he didn't want to talk, and I didn't press it. I did meet him during my trip to London, however. I was allowed to sit in on a meeting at which the shots for the Free as a Bird video were being planned and discussed, and George was at that. But he had said he didn't want to do an interview, so I respected that. I had interviewed both Paul and Ringo before, and I have interviewed them since. The first time I interviewed each of them, I asked for an autograph. After that, I never did again. They are the only interviewees I've ever asked to sign anything. you and he are old pals and that he would prefer to be doing nothing else at that moment than answering your questions. if you avoid giving him an opportunity to do that, and ask things that are not the same things he's been asked, over and over, you can get some fresh, thoughtful material. Paul puts you completely at ease, quickly: that's part of what I meant by "professional interviewee." Ringo too, if to a slightly lesser degree. Ringo can be friendly and funny - but he has a bit less patience for interviewers than Paul, but still, it's fun talking to him. Sara: I also remember the commercials on ABC television a few weeks before it was on T.V. Allan: I had also see (The Anthology TV Series) before it aired, at Apple in London, where they basically just put me in a room with a TV set and let it play. I thought it was very well done, although when I saw it at Apple there were a couple of points I thought would confuse people: they didn't, for example, make any distinction at all, in the original cut, between Rubber Soul and Revolver. One moment they were talking about Rubber Soul, and the next, it was on to the song Yellow Submarine. I mentioned that to Derek Taylor, who was in charge of the press, and therefore my "minder" on that trip, and he mentioned it to Bob Smeaton and some of the team. I got a call from Bob when I was back in New York, saying that I was right, and that they'd added something to make the distinction clearer. But he also explained why they had done it that way, which was that they were influenced by a comment that George Harrison had made, about Rubber Soul and Revolver being like Part 1 and Part 2 of the same thing. Sara: Did I watch it? I obsessed over it! That was my life during Thanksgiving of 1995. I was home from my college Thanksgiving break and I brought my television and VCR home from my dorm room (which was not an easy task) so that I could watch it and record it off T.V. in the privacy of my bedroom. I think I screamed and cried through a big part of the program. Allan: I'm sure that if he (John) were alive, he'd have participated. Sara: I am pretty sure that John would have been involved because he spoke of the project many times in interviews over the years, including in a legal document he wrote out just a week before his death. Tom: I’m sure he would have agreed, perhaps making it happen even earlier than it did. Sara: It was sad that John could not be a part of the Anthology, but I am glad that they went ahead with it even though John was not able to physically be there. Allan: I'm not sure how I'm supposed to feel about him not being present - it wasn't a choice, you know? Sara: I really, really loved how the included John. Tom: Those slow motion clips were slightly creepy visually, but it was fine to have his old interviews intersperse. Allan: I thought they did the best they could. Fortunately, John gave many long, detailed interviews, and they had these as resources. Sara: There were rumors that they were going to include John in a Forest Gump movie type of way, which would have been really cheap and terrible. I think that Neil and the guys who put the Anthology together really worked hard to make it seem like John was an active part of the project. Tom: It seemed that getting George and Paul together was a major accomplishment. Allan: I've heard Pete (Best) interviewed many, many times, and apart from saying that he's a better drummer than Ringo, I'm not sure what he would have added. Sara: I think Pete should have been interviewed in the first part of the Anthology because he was there and would have had some important things to add to the story. I think it was wrong that he wasn’t included. Tom: It was a shame, but they were very carefully controlling their image and I suppose didn’t want the negativity he might bring. Allan: Pete has written two books, as have other people, some of whom could have been included. But this was, as they put it directly, their story - their autobiography. Sara: I had seen a lot of it before, but not in such clear, crisp video. And I had never seen any of the home movies. Tom: The quality upgrade on some of the other clips I knew was well worth it. Allan: I had not, of course, seen the newly recorded interviews with the Beatles, (George) Martin, (Neil) Aspinall and (Alistair) Taylor, but I had seen virtually all of the performance footage. Sara: I remember at the time I hadn’t known very much about the Beatles Manila incident and learned about that. Most everything else I pretty much knew, but I might not have known some of the little details. Tom: I learned new details about their drug-taking, and about John’s bizarre fixation on imitating handicapped people. Tom : I don’t think it told the story well to the average viewer. Especially if you were a young person in 1995, I think it would have been confusing, but they insisted on not having a narrator. Allan : It was interesting to hear their points of view about various things, including points of view that contradicted each other -- for example, whether they jammed with Elvis. Allan : There were also some very amusing anecdotes, particularly to do with the White Album period: George Martin saying that he'd have preferred releasing a great single album rather than a double, followed immediately by Paul saying, "It's great, it's the Beatles, it's the White Album - shut up." Tom: I don’t think I learned a lot of new facts, but I did learn a lot about Paul, George, and Ringo as people by watching the interviews. George was more cynical than I even expected, and Ringo was very clear-headed about the whole thing and came across as the most genuine. Paul never wants you to forget that he could be just as “cool” as John, but he was still likable. Allan: Overall, though, I thought the TV version was fantastic. Sara: I totally loved everything about it. Tom: I was glued to the TV set, and I loved it, except for the fact that there was no outside perspective, and if you weren’t a fan, you would be confused by some of what was happening. two. Not that there are great differences, but I believe there were some small differences between the US and UK versions, just because of the differences in the way they were shown. Sara: First I had it taped off the T.V. and I watched that over and over then I bought the VHS set and watched it so much that some of my cassette tapes broke. 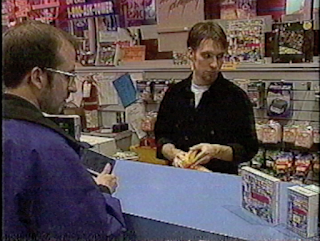 Tom: I bought the VHS as soon as it came out. Sara: The extra features (on the DVD) were alright, but they weren’t as great as I thought they would have been. I liked the jam session and the singing of Blue Moon of Kentucky, but I had already seen that on Good Morning America. Allan: I greatly enjoyed them. But I think I'd have preferred either more interview outtakes, or more uninterrupted performance footage. Sara: I have (the Directors Cut bootleg DVDs) and they are exceptionally good. They are much more candid. George says the name of the LSD dentist and they aren’t as sweet to Yoko, plus Neil takes off his hat. Allan: I liked getting to finally hear the "Ommmmmm" vocal version of the final chord in A Day in the Life. I mean, it was kind of disappointing, but still, it was great to hear it, and I think it should have been included in the finished version of the show. And there were some interestingly critical comments that I was sorry were deleted: it would have made the show a bit spicier. because I just thought it was so goofy. Now I still think it is goofy, but I it doesn’t make me mad like it originally did. Tom: I thought it was cute, but didn’t think it would catch on or go anywhere. You could see it was an uneasy alliance! Sara: It seems like I heard it on Entertainment Tonight or some other entertainment news program and I hated the term because I felt like they were leaving John out of the Beatles. I thought it was overly cheesy and just a media coined term to be catchy and relevant at the time. Sara: I wanted to hear Free As A Bird and followed tons of rumors that it was leaked, but it never was leaked. I really think the first time anyone heard it was on the Anthology TV series. There was a count-down to the new song while the video for Penny Lane was playing. It was one of the most exciting moments of my life. It was witnessing Beatles history. Tom: It was thrilling hearing those voices blend together, but a little eerie the way John sounded. Sara: I liked Free As A Bird right away, and I thought the video was amazing with all the little clues in there. I truly liked it, but it didn’t have the feeling of a real Beatles song. 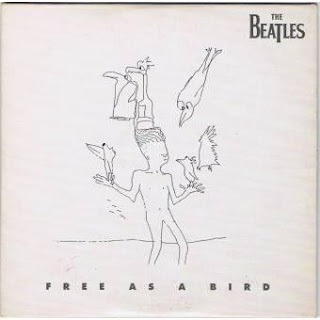 I did buy Free As A Bird on CD single. Sara: I think the Free as a Bird video is pure genius. I remember talking online about all of the song clues in the video and trying to figure them all out. It was so much fun. Tom: I was blown away by Free As A Bird : it was majestic and fun and poignant. Real Love was a little more thrown together, with the old clips, and George looks SO uncomfortable with Paul in the studio! Sara: The second night of the Anthology was when I first heard Real Love, and I remember that I cried when I heard it and saw the video because it made me really miss John. I thought sound-wise it sounded a lot more like the Beatles. It is a beautiful love song. Tom: (Real Love) seemed more ordinary at first, but I grew to appreciate it more, especially George’s solo. Tom: I knew the Lennon version already. It took a bit to get used to the Beatles' version, but I like it, probably a bit better. Sara: I like both of them for different reasons. They are almost like two different songs. Allan: I know a lot of people disliked them. I thought they were beautifully done - both the songs and the video clips, particularly the one for Free as a Bird, which was extremely clever. Sara: I do not think they ever played these songs on the radio in my area. Tom: I’m sure George (Martin) insisted that Jeff Lynne be brought in as well. I think they came out as well as they could have, in the end. Sara: I felt like he (George Martin) should have (produced the singles) before I heard the two songs. But after I heard them, I realized that it didn’t really make a difference. Tom: I Bought it (Anthology 1) at Tower Records’ midnight sale along with a huge line of people waiting for the doors to open, with TV crews and everything. I loved it, except for the voiceovers that obscure parts of the songs. Sara: I thought it was alright. I wasn’t too crazy about the really early stuff, but it was cool to have it. Sara: I think the talking, especially over the songs, should have been left off Anthology 1. 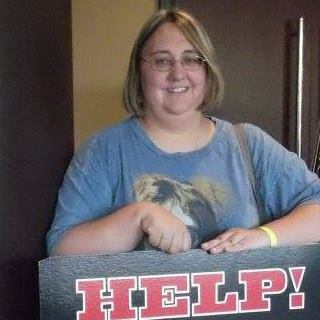 Sara: When you bought the Anthology CDs from Sam Goody music stores they gave out a free magazine called Request, and so I also got all three of those. Tom: I Bought (Anthology 2) at Tower for the midnight sale again, but no one else was there when I got there. 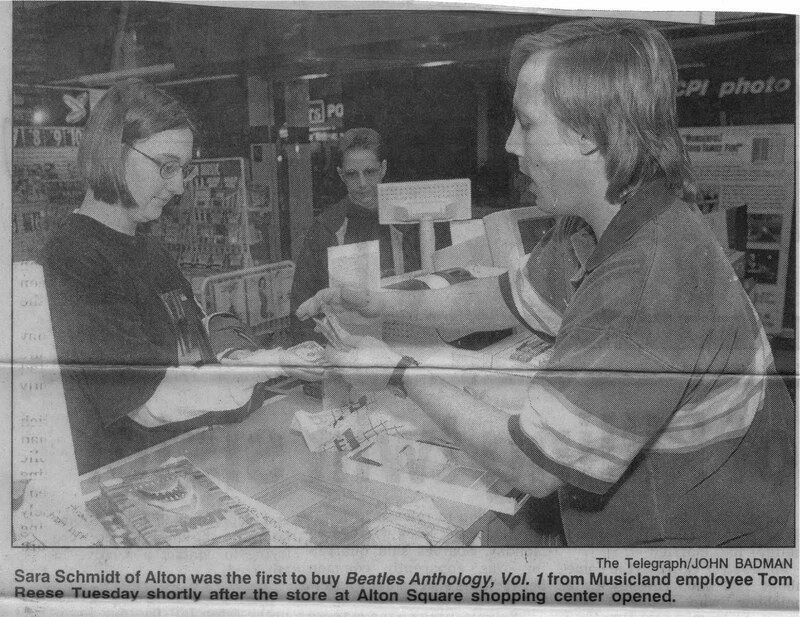 There was a TV crew and they interviewed me, and I was shown on the local news the next day at noon, but just buying the CD, not talking. I thought this collection was even better, and I liked that they weren’t afraid to put multiple versions of a few songs when they illuminated something. And no voiceovers! Sara: Oh my gosh, I loved this album. Tom: It was the most experimental. Sara: Anthology 2 has always been my favorite. Tom: Initially, the three volumes were to come out at three-month intervals starting in November 1995, but obviously #3 got delayed considerably. Tom: I bought it (Anthology 3) the day of release and loved it too. Sara: It is a great “unplugged” album. Sara: Leave my Kitten alone is a highlight for sure and I just love And Your Bird Can Sing (giggle version), and the acoustic While My Guitar Gently Weeps outshines the original. Tom: Could have done without the alternate Mr. Moonlight. Tom: Revolver is a classic, and the Anthology covers were cool, especially the way they interlock with each other. Sara: I think Klaus did an outstanding job. I loved how he made it look like a painting on a canvas and when you put all three together you have one large piece of artwork. Allan: Should there be more archival releases of studio outtakes -- hell, yeah. It's true that there are probably no hidden masterpieces, or even great but not necessarily earth-shaking tracks like Leave My Kitten Alone or That Means A Lot. But there are tons of things people would love to hear. Sara: A new Beatles song would have been awesome. Tom: It would be nice to have ALL the Decca audition in one place in good quality. A few more live tracks would be appropriate, and certainly more from the Get Back sessions. Allan: The rest of the Esher tape of White Album demos, a handful of songs from which were included on the Anthology; the experimental pieces - Carnival of Light, the unnamed drum piece they all worked on. Sara: I remember listening to (Hiroshima Sky Is Always Blue) once and I thought it was terrible. Tom: I think it’s cool, fairly similar to some of (Yoko's) other work from the nineties on. Tom: I’ve heard (Now And Then) and I would like it to be released. Tom: I would like (All For Love) to be released if it exists, but I know they’re pretty careful about releasing things that aren’t up to the quality they like to have. Sara: (Grow Old With Me) is really good as a John solo song from Milk and Honey. I really dislike what was done to it on the John Lennon Anthology. Tom: Great song, but probably two reasons it wasn’t (released), and shouldn’t have been used: 1) it’s about John and Yoko’s relationship and is closely associated with that; 2) the technology didn’t exist to get rid of that drum machine beat (now it probably does). Sara: I like the John Lennon Anthology over all. It has a great mix of music from John’s life. I do think that the others need to release similar albums. Tom: I was very happy with what they included, although I didn’t totally agree with the sequencing, the way they threw certain tracks on there, way out of order. The market probably couldn’t bear a Ringo Anthology of more than one disc (maybe two), but I could see a 3-disc George, and at least 4 of Paul. Sara: My opinion is that it is a shame Derek Taylor died before he could work on it. It is a great book, but I hate that the Two Virgins photo takes up an entire page. Sara: I wanted to show my love and support of the Beatles and their project. I bought t-shirts, key-chains, magnets, and the set of buttons. Tom: I don’t buy much of other kinds of merchandise. Most of that kind of thing that I do have was given to me. Sara: The Dana Carvey show (parody) was hilarious and still makes me laugh. I bought the Rutles CD (Archaeology) and was disappointed by it.